It's that time of year again when the Seville oranges are in the shops. 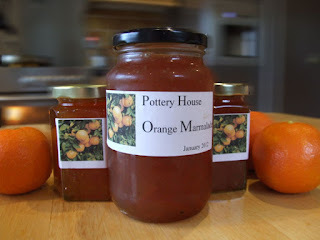 We've made a batch of "Pottery House Orange Marmalade" this week all ready for the new season. It's especially nice spread thickly on one of our home made poppy seed rolls.